Dr. Chad Larson is a native of Rochester, Minnesota. In fact, he proudly wears a GLK smile himself! He was inspired to pursue orthodontics after working at GLK as an office and laboratory assistant for two summers during college. Now, as an orthodontist, he loves seeing the transformation of his patients’ smiles and the confidence it gives them to achieve their personal goals. Dr. Larson is honored to work alongside Drs. Nellie Kim-Weroha and Brent Larson, together they continue to deliver the excellent patient-centered care upon which GLK was founded. At the U of M, Dr. Larson had the incredible honor of training under Dr. Brent Larson, his father and GLK partner, for whom he has the utmost personal and professional respect. He now teachs the residents on a part-time basis, showing them how to efficiently treat patients with the latest technologies. 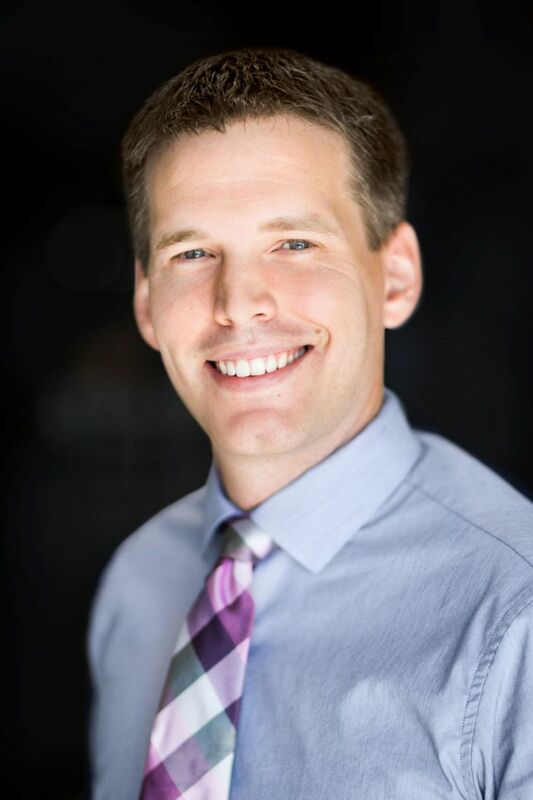 In a rapidly changing world and profession, continuing education allows Dr. Larson to stay on top of the latest technology and orthodontic treatments to provide his patients more options and better results. He is certified in Invisalign® clear aligner and Incognito™ lingual braces, and attends several local and national orthodontic meetings throughout the year. When he isn’t in the office creating beautiful smiles, Dr. Larson likes spending time with his wife, Caitlin, and their three sons; Connor, Cameron, and Caleb. Dr. Larson enjoys reading and spending time outside, and is a big fan of the Twins and Vikings. Dr. Larson is also passionate about being out and about in the wonderful Rochester community, taking advantage of all the parks, trails, people, programs, and services that make it truly one of the best places to live. He is active in the community through numerous programs and volunteer opportunities, and finds it rewarding to give back to the city that has given him so much.